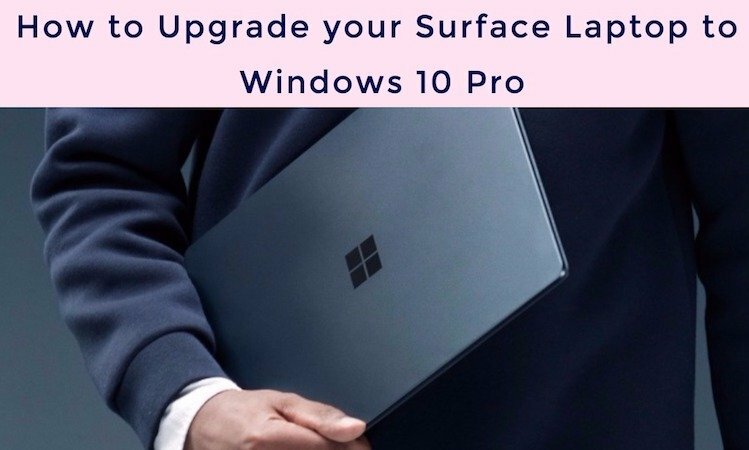 Microsoft revealed information about its next significant upgrade in the current operating system Windows 10 namely Creators Update. 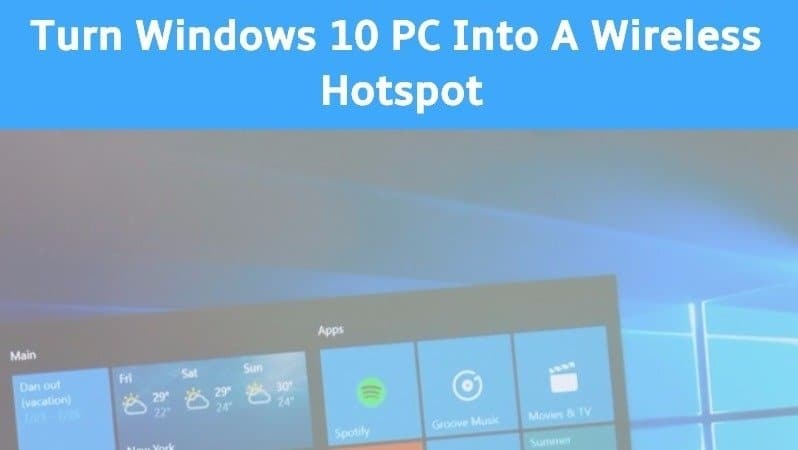 Windows 10 Creators Update will have a futuristic approach and include many features that may become essential for the users after a couple of years. Globally, more than 400 million people use Windows 10 and it has been proved to be successful already due to its outstanding capabilities. However, there are many competitors in the market and that’s why innovation and upgrade are also necessary. 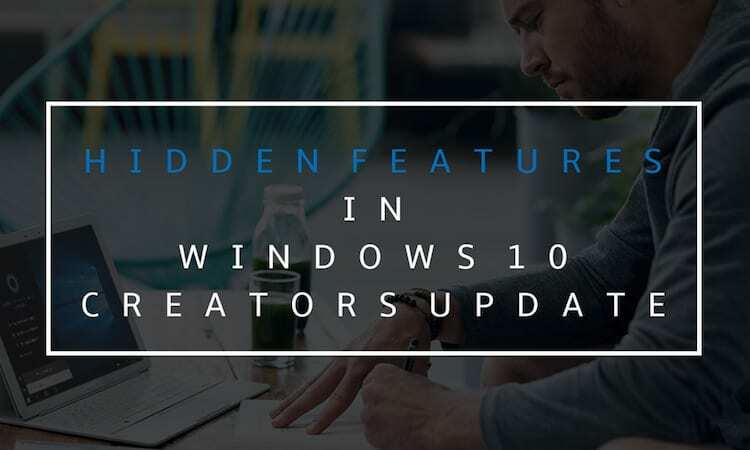 Let’s see some of the most amazing and best Windows 10 Creators Update features that impressed us the most. 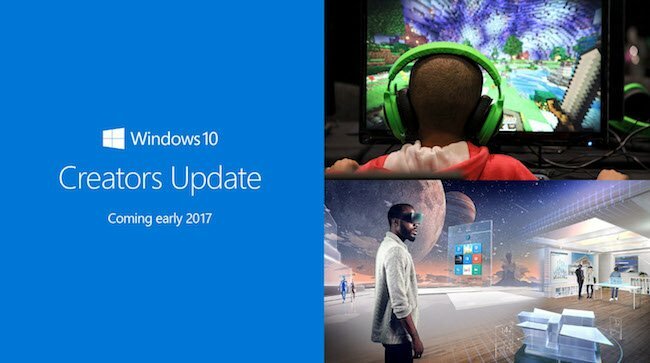 As per Microsoft, the New Creators update will come next year in springs and would not include any additional cost. 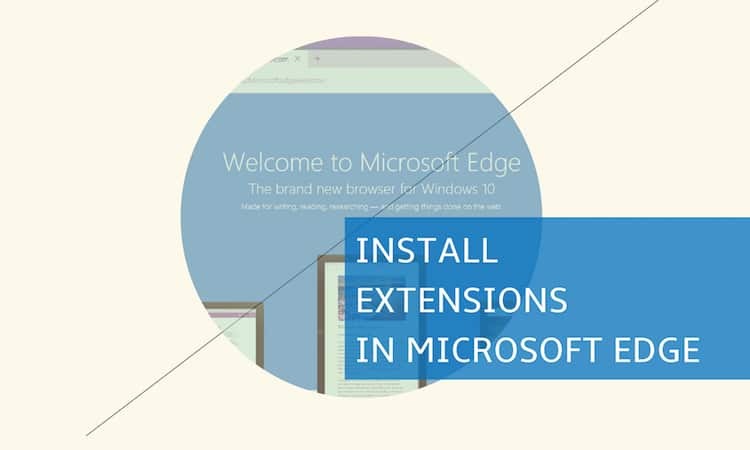 In other words, those who already have Windows 10 will receive the update for free. There is no other information revealed by the company now. The Windows 10 Creators Update is going to turn the classic MS paint program in a whole new Paint 3D application which will allow users to draw images using the surface pen, cut and paste 2 dimension pictures from photo gallery to create virtual models and let them scan an actual object via the camera of their smartphones. 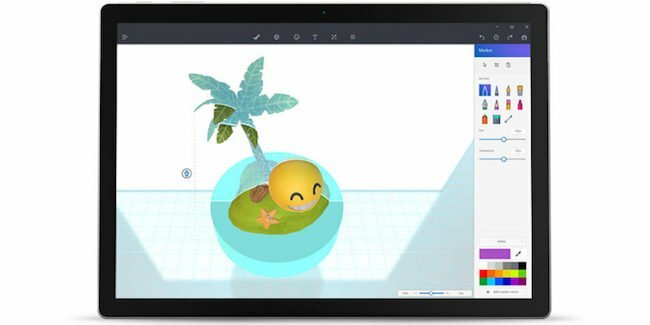 The Paint 3D will allow users to edit and share their 3D creations as well. MS office as one of the most popular suite which is being used by millions of users across the globe. 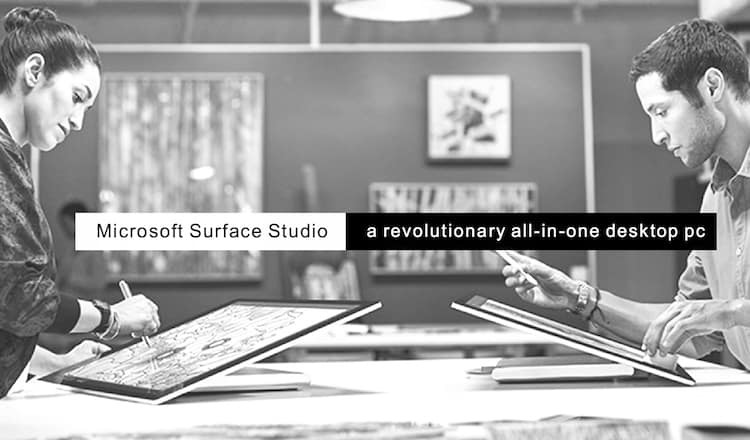 All of its applications will now provide support to 3D animations and images. 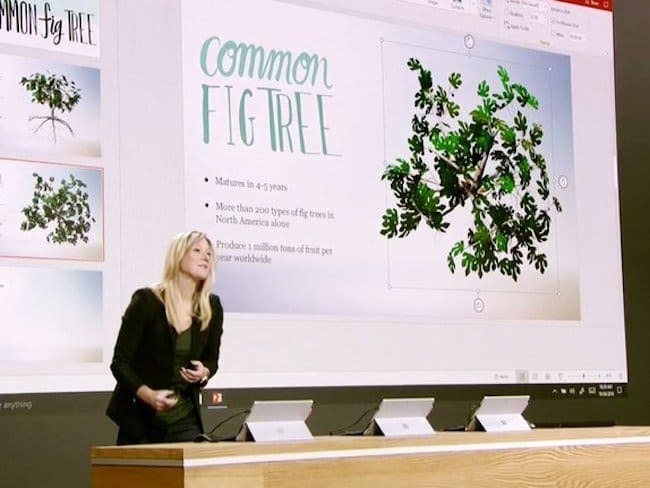 Applications like MS Power Point that are used for giving presentations will now include 3D pictures that will help users to display content more effectively. 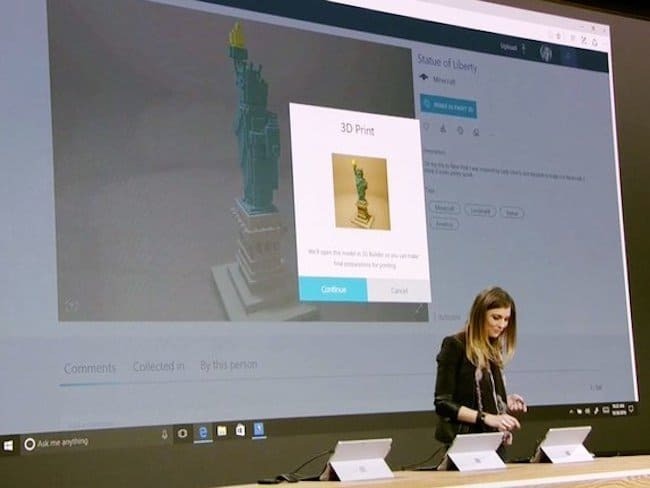 After the Windows 10 Creators Update if you build a unique 3D construction in Minecraft then you would be able to send it directly to the 3D printer to take a print. The process is going to be so simple and will take just a few clicks to get a 3D model of your creation. This is definitely going to be useful for the new generation which is growing with 3D since beginning. 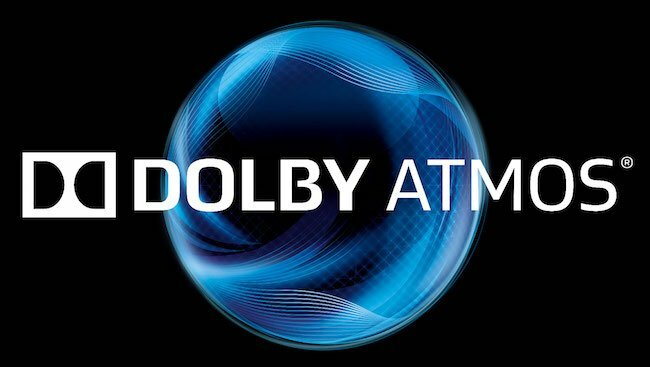 The Xbox one S has an in-built 4K blue-ray disc player which will start supporting Dolby Atmos after the Creators Update of Windows 10. In order to make the most of it all you need to have is just an Atmos-ready surround system. Microsoft HoloLens was based on Augmented reality to blend real world with artificial elements. Now some new VR headsets with positional tracking will accompany that device. These new Windows 10 compatible headsets will be launched by companies like Dell, HP, Asus, Acer and Lenovo and the price starts from $299. 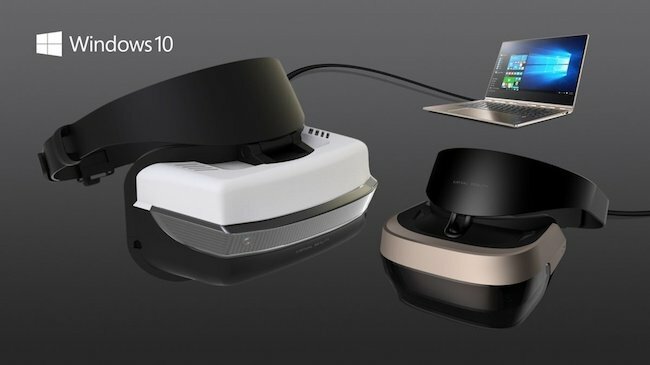 Apart from VR gaming, these headsets will also be able to portray 3D creation of any above mentioned Windows 10 application. 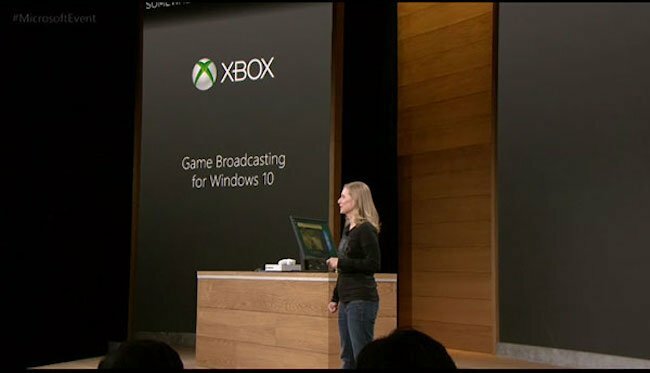 The new Windows 10 Creators Update will enable game streaming service with a beam that will allow users to Live stream their own game or watch the broadcast of other games in 4K effortlessly. 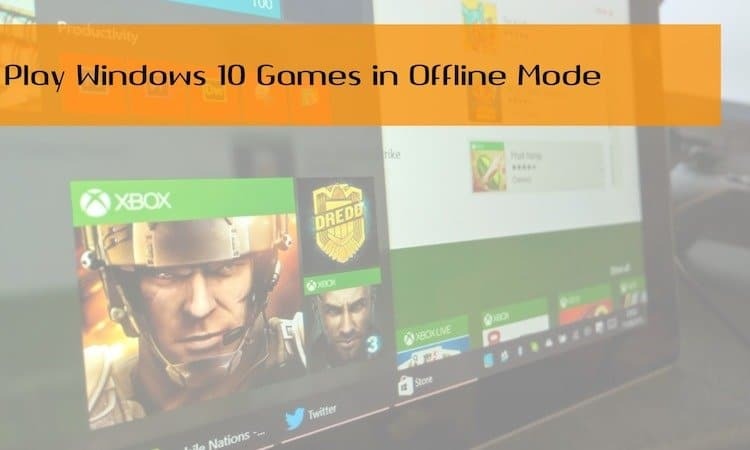 All Windows 10 devices such as PC, surface, Windows phone and Xbox will have this facility. 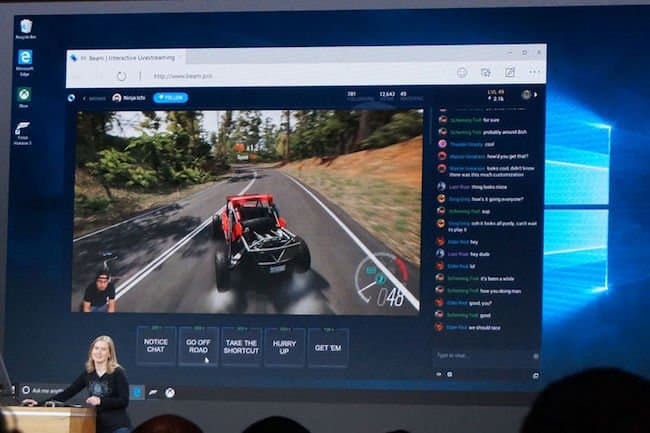 After the Windows 10 Creators Update users would be able to play with their friends or other gamers by creating custom tournaments to compete with each other. The tournament feature within the Xbox will maintain the scores and give you suggestions to invite friends from social networks like Facebook as well. This is one of the most interesting feature of the upcoming Creator update. 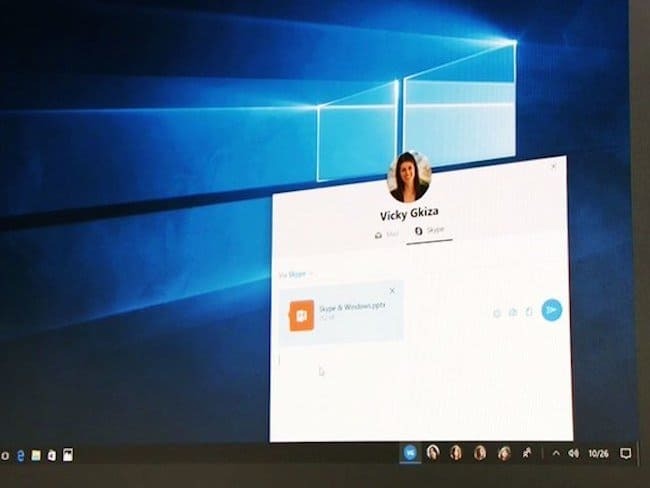 Microsoft will bring your favourite people straight to your taskbar. You can pin people’s face on the task bar, send emails or text messages to their Windows or Android phone directly from there. The message from their side will also pop up on your desktop. If you want to share a file or image with them instantly, just drag and drop it to their icon on the desktop. Windows 10 Creators Update will also let users share their emotions in the form of emojis with their friends through instant messaging. These 3D stickers will pop up on the other person’s desktop right above your icon. 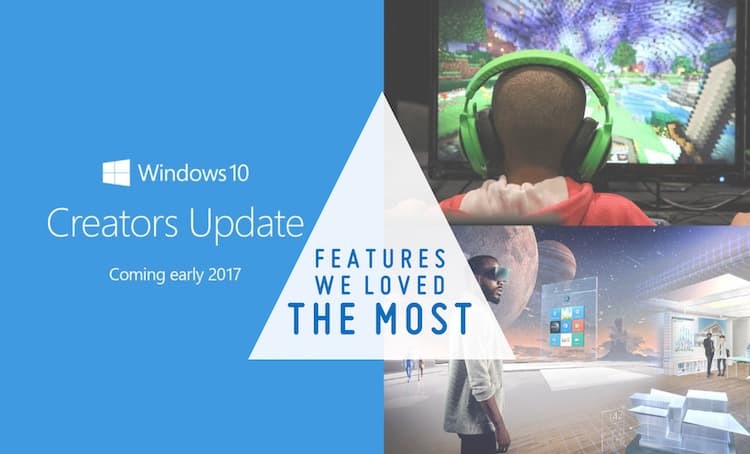 So, these are some of the best Windows 10 Creators update features we loved the most and impressed us very much. 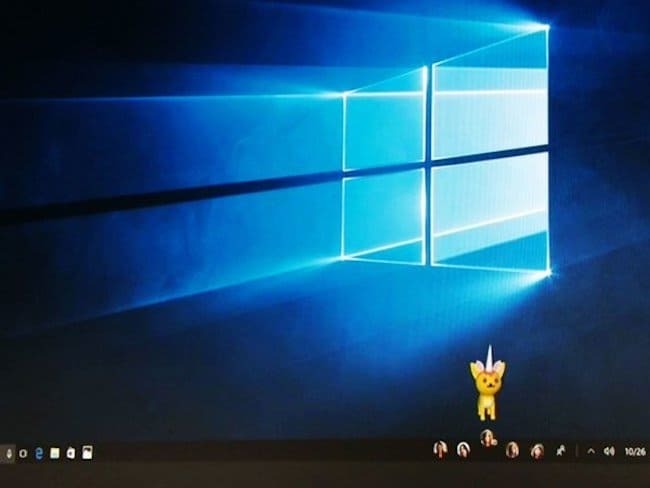 We are sure that Windows OS is not maturing and going in the right direction. These amazing Windows 10 Creators Update features will surely take the Windows OS to a whole new level. Do let us know which one of these amazing Windows 10 Creators Update feature impressed you the most.